July 14, 2016 (Houston, TX) — Boxer Property is proud to announce its latest lease expansion at 6671 Southwest Freeway in Southwest Houston. 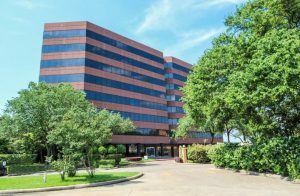 Seeing growth in their personnel needs and requiring more space, the YMCA of Greater Houston decided to expand with Boxer Property again, bringing their total leased space to over 6,000 square feet. The current expansion adds 2,400 square feet to their existing lease. Boxer Property’s Jessica Barrera worked with the YMCA, to ensure that all of the Organization’s requests were handled and the expansion was a smooth process for all involved. Houston property 6671 Southwest Freeway is a prime office situated in a convenient location just off of Highway 59 in the Hillcroft area offering tenants a beautifully landscaped grounds, lobby with polished granite walls and floors, with an on-site deli for convenient lunches and multi-level parking garage along with on-site security and management. The YMCA of Greater Houston’s International Service Center is one of Houston’s leading nonprofits strengthening the area communities through youth development, healthy living and social responsibility. The YMCA seeks to serve all – regardless of age, income, faith or background and they welcome everyone. Anchored in the Houston community, the Y has the long-standing relationships and physical presence not just to promise, but to deliver, lasting personal and social change.